Andrew Burdett Design have designed and built myriads of websites over the years for a wide range of clients. 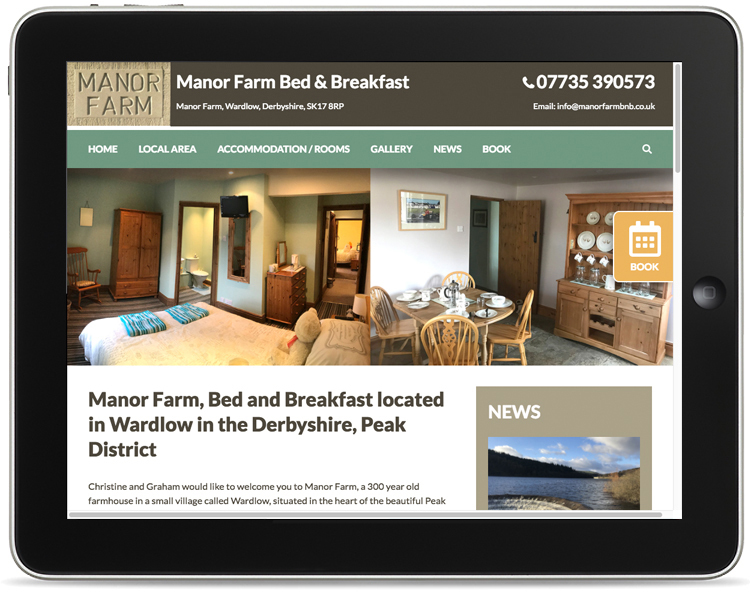 Being based in the Peak District, with its thriving tourist trade, we have been asked to create a number B&B and holiday cottage websites. 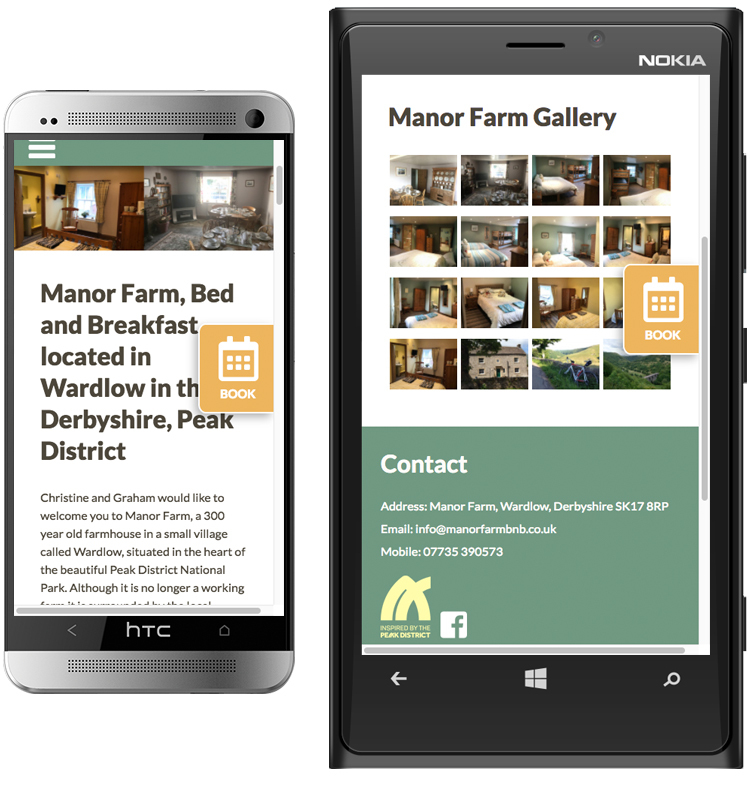 All our holiday cottage website designs are responsive (mobile friendly) and we can add anything you require from calendars to booking forms, from maps to contact forms. 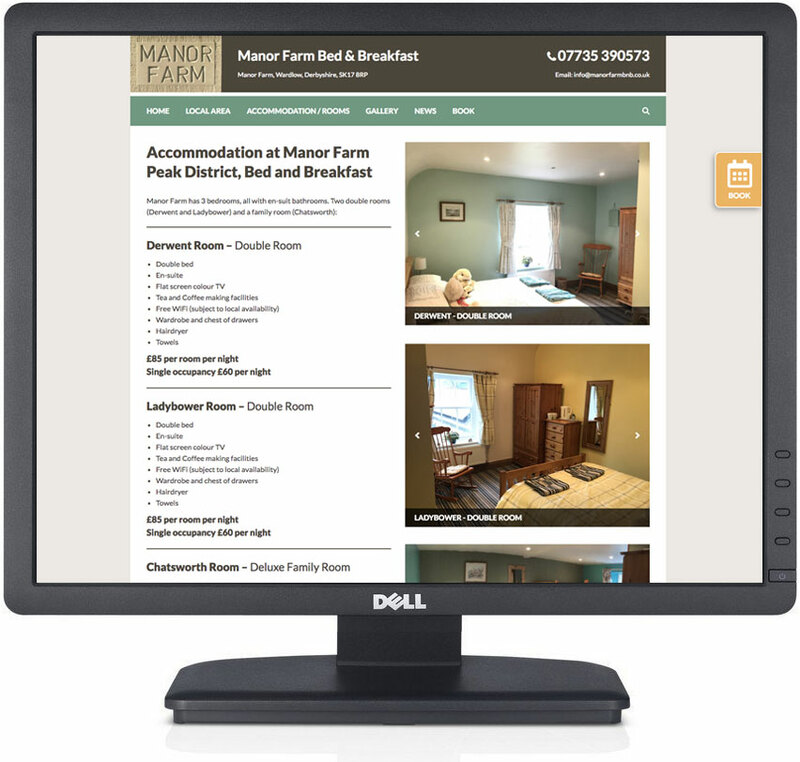 As all the sites we build are bespoke for the customer, we can create a website that suits your needs and sells your property. 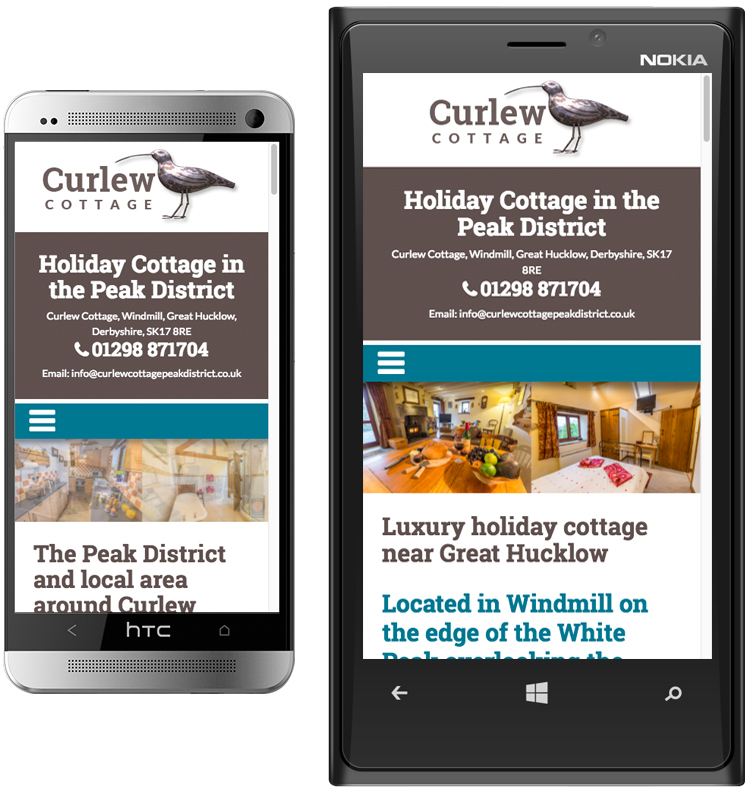 For FREE quote and a chat about your holiday cottage website design requirements call Andrew Burdett Design on 01433 208307. 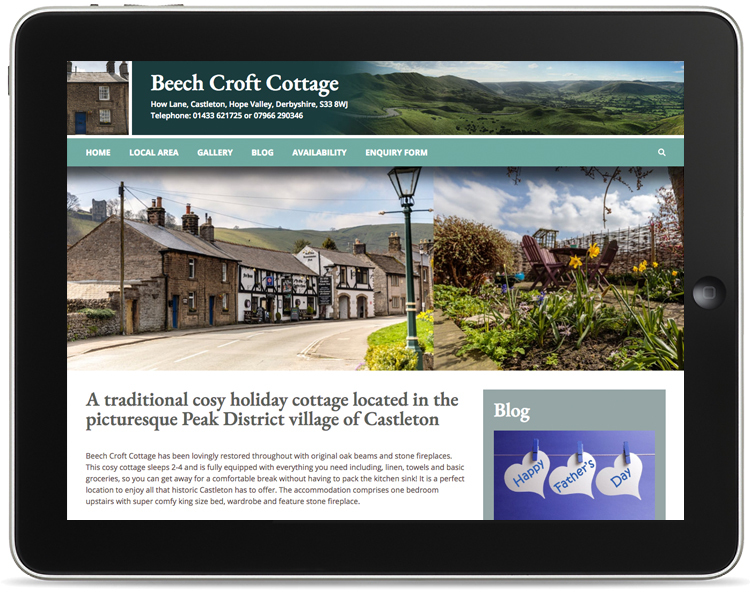 An example of a page we created for a holiday cottage in Castleton, in the Hope Valley. 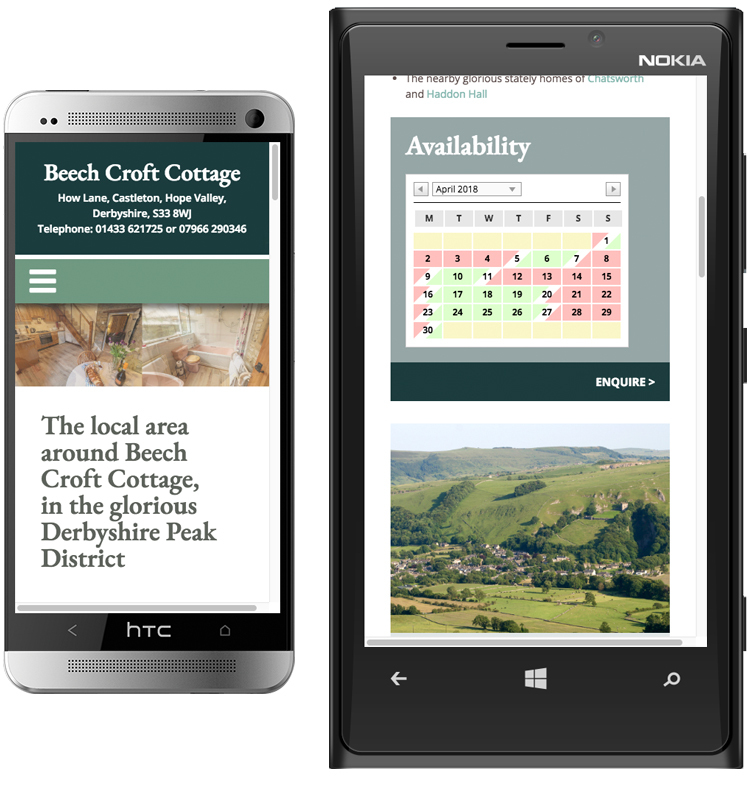 The holiday cottage website as seen on smartphones. Also showing their interactive availability calendar. 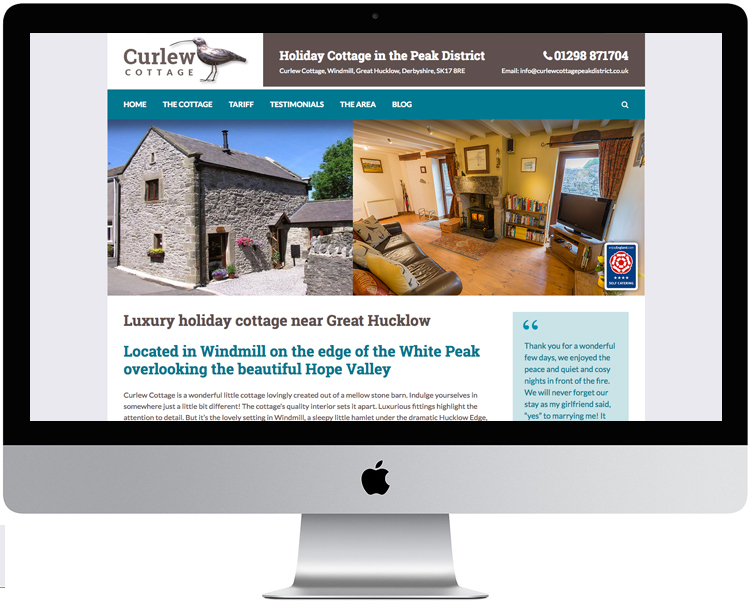 Another holiday cottage website we created for a customer in Windmill, near Great Hucklow, as seen on a desktop mac. 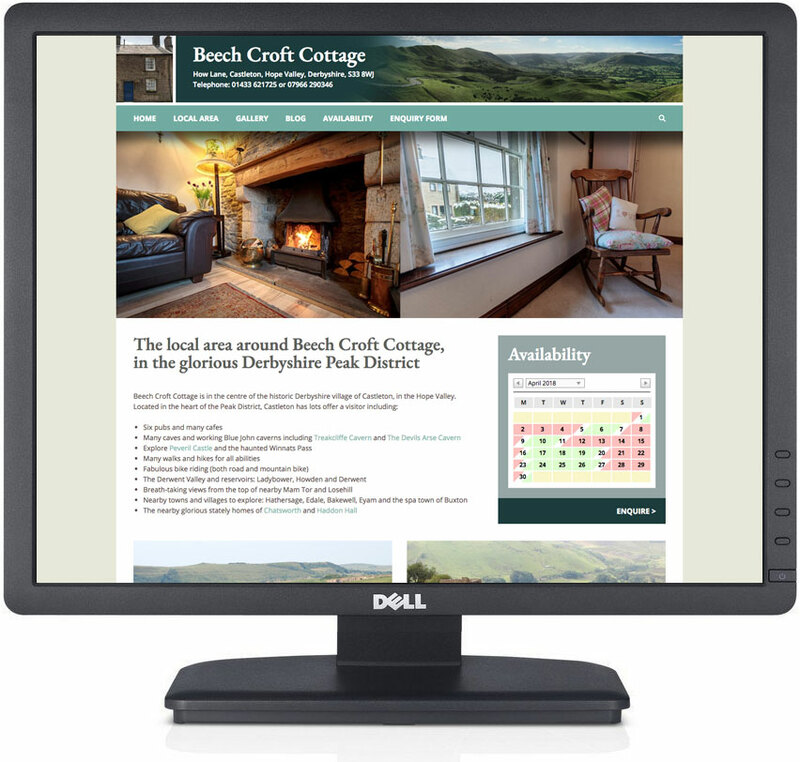 Our holiday cottage websites are responsive, so resize to suit the viewers device and are also editable by the client.